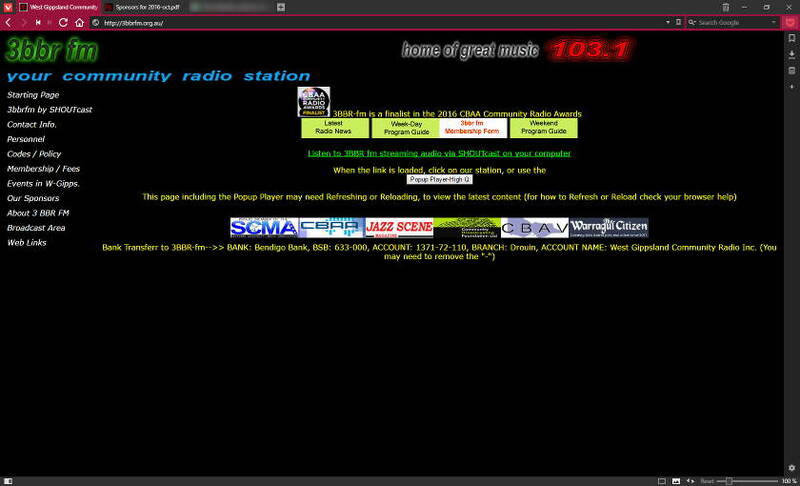 About 3BBR’s new website – West Gippsland Community Radio Inc.
3BBR FM has launched its new website which has been developed in-house to meet the requirements of the modern web. Two blog posts detailing what’s new have been published to help with the transition. They are listed below. You can click/tap either of the headlines to read them in full. Welcome to 3BBR FM’s new website!